February is an important day in my household…I have to be creative for my "going steady" anniversary with my wife, Valentine's Day, and the celebration of Zoey's adoption! I was fortunate enough to partner with Hearts, a brand that specializes in men's and women's jewelry and accessories. Hearts uses recyclable materials to make their products which in my opinion gives it a unique touch to each and every of their items. 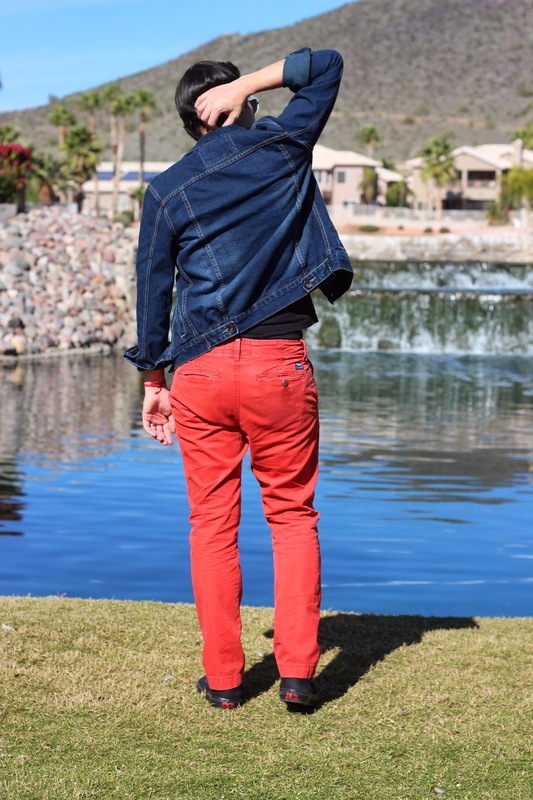 I played my outfit around my "I Heart You" bracelet by bringing some bright red skinny fit pants from American Eagle, along with a black American Flag Tee and a blue Denim Jacket from 21Men (Forever 21). The bracelet helps balance this outfit with the pants and make those key pieces stand out. What are y'all wearing for this V-Day? Febrero es un mes importante en mi hogar; para empezar celebro el aniversario que mi esposa y yo empezamos nuestro noviazgo, celebramos el día de el amor y la amistad, y también celebramos el día que adoptamos a nuestra bebe Zoey! Me dio placer de colaborar con Hearts, una marca que vende esclusivamente por internet joyería y accesorios para ambos hombres y mujeres. Lo interesante de Hearts es que muchos de sus artículos vienen de materiales reciclados, dándole un toque único a toda su linea. 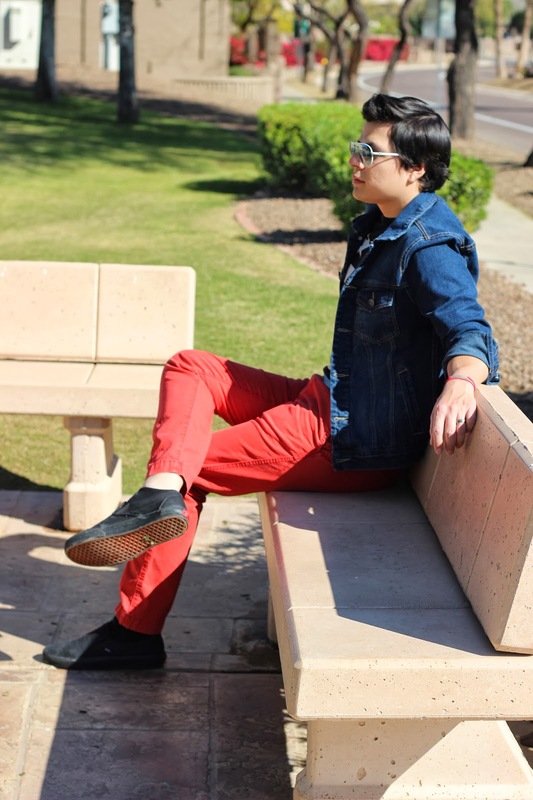 Este conjunto fue creado alrededor de mi pulsera roja, mezclandola con mis pantalones de American Eagle y mi camisa y chamarra de 21Men (Forever 21). Con esto, que planean usar este día de el amor y la amistad? Thanks for following! I am following you back!